Tim Blake Nelson, Jack Black and Rashida Jones star in THE BIG YEAR, a film directed by David Frankel. Photo credit: Murray Close. TM and © 2010 Twentieth Century Fox Film Corporation. All rights reserved. Rated: PG for language and some sensuality. 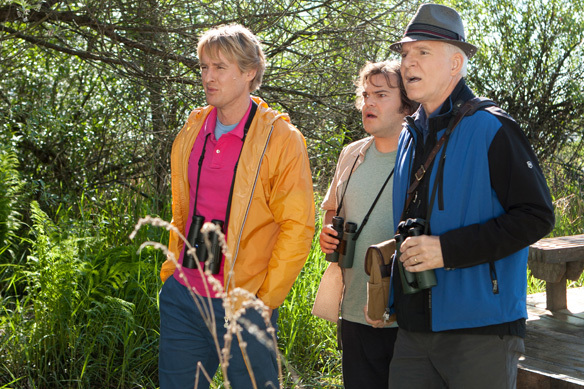 Everyone is searching for something -- and Stu Preissler (Steve Martin), Brad Harris (Jack Black) and Kenny Bostick (Owen Wilson) are determined to not only find their "something," but to be the very best at it. Like this intrepid, continent-trotting trio, most of us dream about being at the top -- whether it be as the supreme athlete, the best-selling author, or maybe the award-winning artist. It can be anything, but ideally it's something you're passionate about. For Stu, Brad and Kenny, that means being the world's greatest....birder. In THE BIG YEAR, an extraordinary race becomes a transformative journey for wealthy industrialist Stu, computer code-writer Brad, and successful contractor Kenny, who race across the continent on a Big Year, a whirlwind competition to see who can spot the most species of birds in North America within one calendar year. THE BIG YEAR filmed on locations in Tofino, Osoyoos, Whistler and Vancouver in British Columbia; the Dempster Highway in the Tundra of the Canadian Yukon territory; New York City, Upstate New York and Fire Island; Joshua Tree in California; and the Florida Everglades. The cast and crew completed something of a Big Year themselves, with all of the travel required to film more than 250 scenes on over a hundred different sets. Director David Frankel's passion for THE BIG YEAR mirrored the all-consuming quest of his fictional protagonists. His involvement with the project dates back to when Frankel was in post-production on The Devil Wears Prada, which became a blockbuster hit upon its release in 2006. He read THE BIG YEAR script and, he says, "just fell in love with the characters and their quest. I thought they were an intriguing subject for a movie. It's about three guys who want to be the best at something; it's also a kind of 'bromance.'" Frankel worked with producers Stuart Cornfeld and Curtis Hanson, along with screenwriter Howard Franklin, to develop the screenplay, which was inspired by Mark Obmascik's award-winning non-fiction book. Frankel went on to make another smash hit, Marley& Me, before THE BIG YEAR found a home at Fox 2000 Pictures. Cornfeld remembers the project's beginnings: "When we read the book proposal, it was a very compelling story of people from very different backgrounds who shared a common obsession. I'd never read anything like it. I thought it covered a lot of elements of the human experience." "David Frankel was loyal and steadfast in his commitment," continues Cornfeld. "I think the movie was made in a large part because of his unwavering commitment to do it and his ability to deliver films that really touch people." It was Frankel's passion and impressive track record with films that tell true-to-life and relatable stories that brought the three comedic superstars to THE BIG YEAR. "It was a terrific script that dealt with some fun and universal themes," says Steve Martin. "It was unique and I understood David's passion for the material." "David was the reason we all signed on to do the movie," says Owen Wilson. "We got swept up in his enthusiasm for the project. He explained it in a way that resonated with us -- the idea of people striving to do something with their lives; something that really makes a difference to them." 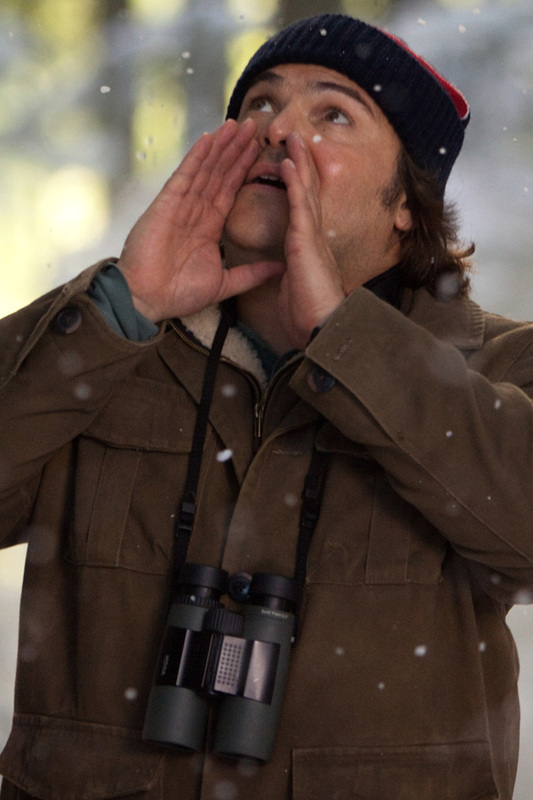 Jack Black was also drawn to the way the story explores the "intense, competitive nature of people in something as seemingly under the radar as bird watching. The stakes are so low, there's no money in it, and there's no glory or fame. It's about striving to be the best. There's something very funny about that and The Big Year seems like a microcosm of everyone's struggle to be the best they can be." Steve Martin portrays Stu Preissler, a high-powered businessman who seems to have it all: money, a loving wife, and a great family. But now he's ready to pursue something bigger than a career; he wants to retire and be a part of the Big Year. But his employees aren't making it easy for Stu. "His underlings are hounding Stu to stay on the treadmill and in the rat race, and run yet another company," Martin explains. "But Stu is looking for a big change in his life. He ignores his staff, and goes off on his Big Year, and gets tremendous satisfaction for doing so." A big part of Stu's Big Year is his newly-struck friendship with fellow birder Brad (Jack Black). "The satisfaction for Stu is not from winning; it's from making a new friend and doing the one thing Stu always dreamed of accomplishing." Jack Black's Brad is a young man whose life, says the actor, "is in the crapper. He's having trouble making ends meet. But he has this passion, which becomes his salvation. Brad thinks that if he can just become the best -- at something -- it'll make everything else in his life all right." 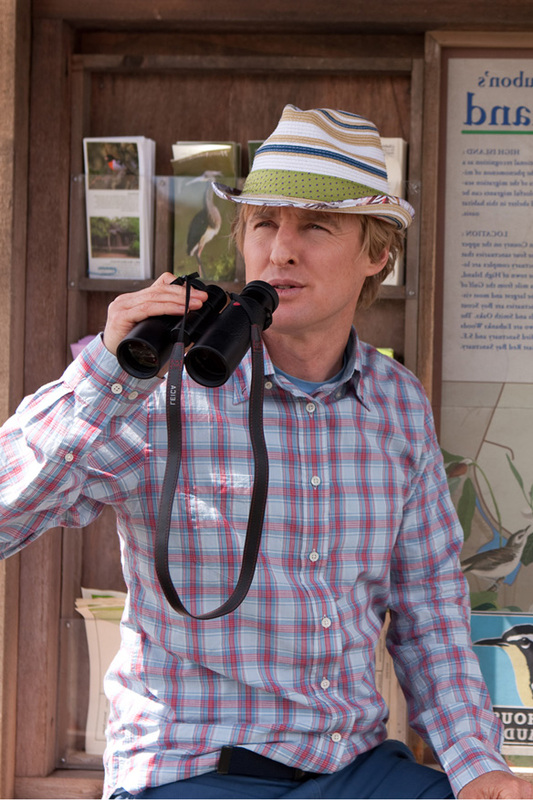 Owen Wilson's Kenny Bostick holds the record of having seen 732 different species of birds in North America over the course of one calendar year. "Bostick sees himself as the king of this world because he holds the record," Wilson notes. "He's a little arrogant about it and really thinks he's the best. His record is as significant to him as Joe DiMaggio's 56-game hitting streak and it's something Kenny is going to kill himself to keep. He is ruthless to be the best and is committed to doing anything he can to hold that position." Martin, Black and Wilson are joined by Brian Dennehy, who portrays Brad's father; Anjelica Huston, as the captain of a boat transporting the intrepid trio; Rashida Jones, as a fellow birder who befriends Brad; Rosamund Pike, as Kenny's wife Jessica; Dianne Wiest, as Brad's mother; and JoBeth Williams, as Stu's wife Edith. Frankel says that the depth of the casting had much to do with "the guys at the top" -- Martin, Black and Wilson. "I think a lot of people would be thrilled to work with any one of those guys, and, for the other actors, the opportunity of working with all three of them was a dream come true." Jack Black, Steve Martin and Owen Wilson star in THE BIG YEAR, a film directed by David Frankel. Photo credit: Murray Close. TM and © 2010 Twentieth Century Fox Film Corporation. All rights reserved. 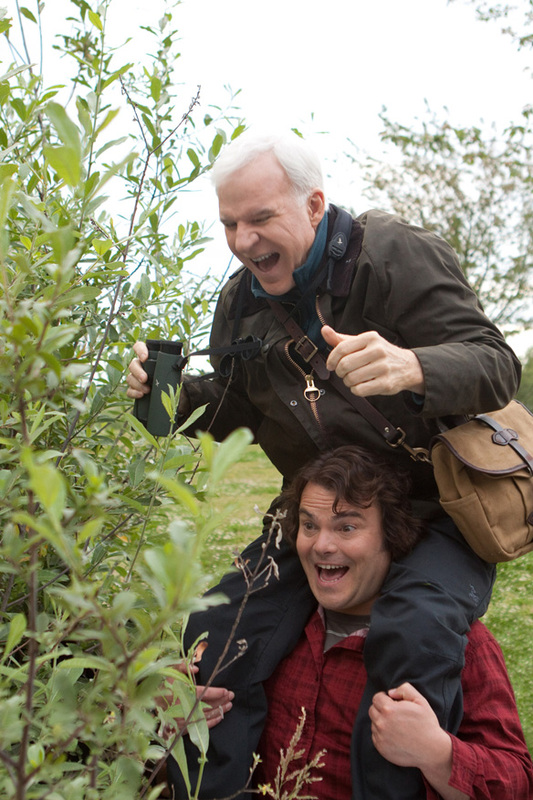 Steve Martin and Jack Black star in THE BIG YEAR, a film directed by David Frankel. Photo credit: Murray Close. TM and © 2010 Twentieth Century Fox Film Corporation. All rights reserved. Jack Black stars in THE BIG YEAR, a film directed by David Frankel. Photo credit: Murray Close. TM and © 2010 Twentieth Century Fox Film Corporation. All rights reserved. Owen Wilson stars in THE BIG YEAR, a film directed by David Frankel. Photo credit: Murray Close. TM and © 2010 Twentieth Century Fox Film Corporation. All rights reserved. 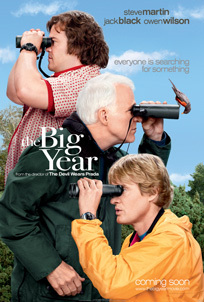 Owen Wilson, Jack Black and Steve Martin star in THE BIG YEAR, a film directed by David Frankel. Photo credit: Murray Close. TM and © 2010 Twentieth Century Fox Film Corporation. All rights reserved. 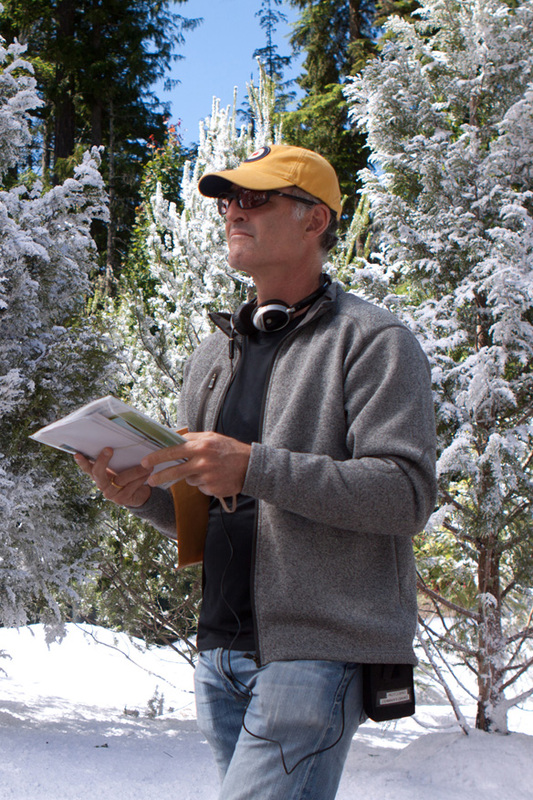 Director David Frankel on the set of THE BIG YEAR. Photo credit: Murray Close. TM and © 2010 Twentieth Century Fox Film Corporation. All rights reserved.